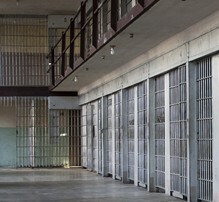 If you are facing state or federal criminal charges, count on Richard D Gronna Attorney At Law. Our Honolulu, Hawaii, practice is prepared to mount an impassioned felony or misdemeanor defense on your behalf. Every defense we mount begins with your initial consultation. If you choose to hire our firm, we stand with you through your court appearances to trial, and handle all necessary paperwork and filings. Contact us for felony and misdemeanor defense, and let us help preserve your freedom.